Each one of us has his/her own style of travelling but we all wanted one goal: to enjoy. 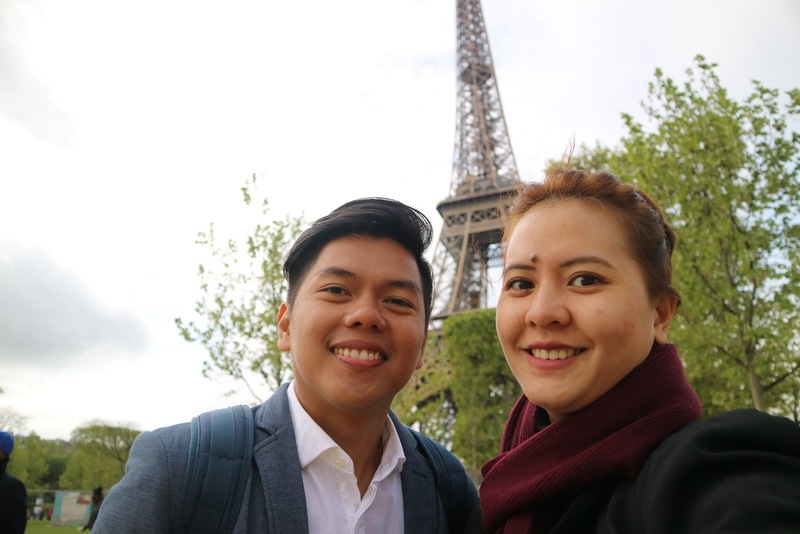 Traveling to Europe or Paris to be specific (at least for us Filipino middle class earners) is definitely expensive but it doesn't mean it is not doable. My husband and I are the type of travelers who fall somewhere in between splurging and saving. Our motto is to not feel "kawawa" that we starve ourselves or forego good experiences during our trips to cut on cost but at the same time we don't want to spend too much that we become broke when we get home. It is just a matter of prioritizing where to spend our hard earned money (or the money we borrow from ze parents ha!). Some would have done better than us but what's important is that we enjoyed Paris with our set budget and went home happy and without guilt. If you read my previous posts, our first destination and main base in Europe was Copenhagen due to my husband's work. We didn't fly directly to Paris from Manila. Paris was actually the 3rd leg of our one-week holiday (which included Amsterdam and Brussels). We arrived in Paris from Brussels via bus which took 4 hours. On the way back to Copenhagen, we took the 2hr plane because I'll probably die if we decided to travel by bus which will take a minimum of 21 hours. The cost of flying to Copenhagen from Manila is pretty much the same as flying to Paris so just to give you an idea, it costs between 35-40k round trip basing from the period I checked which was very close to our flight date. Add the cost of the travel tax and Schengen Visa fees (which also requires travel insurance). It is cheaper if you fly from Singapore (like we did since we were already there) or Hongkong. But if you're already in mainland Europe, it is very easy to get to and from Paris via train, bus or plane. GoEuro came very handy during our planning stage. We were able to easily compare the different modes of transportation and decide on the best options. Tickets can be very very cheap especially if you booked way ahead of time. 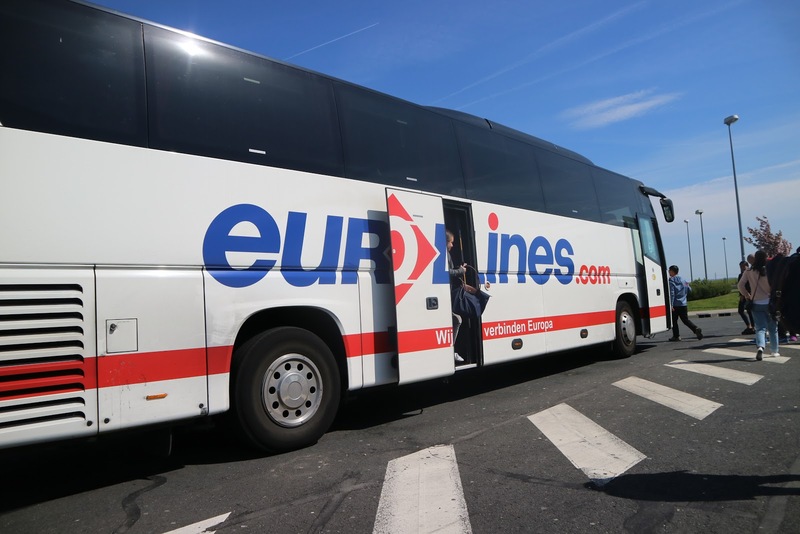 The Eurolines bus ticket from Brussels to Paris costed us a total of €20. While for the Easyjet plane ticket to Copenhagen, we paid $328 with one 20kg check-in baggage. Fares could get lower have we not travelled on an Easter week which is a super peak season. I love commuting whenever I'm in a foreign country. It just makes me feel like a local. I take the train whenever possible. Though buses are as cheap, I still am not comfortable that I won't get lost especially when it is my first time to explore the city. Metro and RER tickets in Paris are priced per zone. I can't say the same for buses as we haven't experienced riding one when we were there. 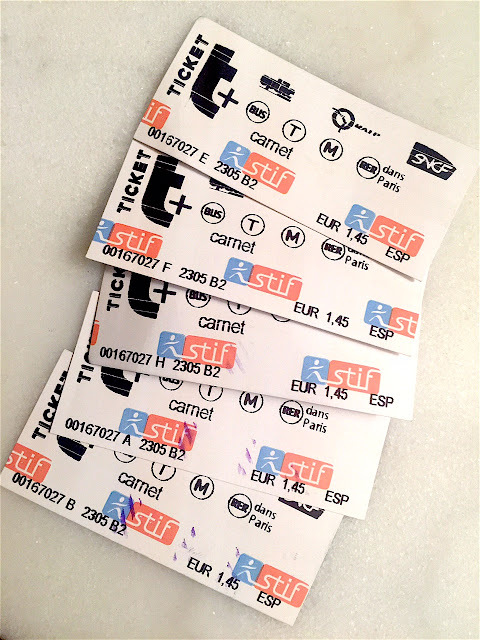 For stations within zones 1-3, fare is €1.90 per ride.There's actually a cheaper option by buying 10 carnets (kar-nay) which is priced at €14.50. It's like buying 10 pcs of single journey tickets for a discounted price. We figured that we won't be needing much tickets for our entire stay so I just bought 1 set and gave half of the tickets for my husband to use. We can always buy extra as needed. One ticket can be used in the Metro and if you have a connecting RER as long as you don't exit the station or it is still covered within the indicated zone. Tickets are only used during entry. They are not required during exit. And because of this, some locals (who probably don't want to spend for the fare) wait for the exit gates to be opened by passengers (who just alighted the train) and enter through it so they can ride the train even without a ticket. Tsk tsk. I strongly advise against it even it means saving money. It still is stealing. Most probably you'll be staying within zones 1-3 so if you plan to go to Versailles, ticket is priced at €3.55 per way. You can already buy a return ticket so you won't have to line up at the station on your way back. 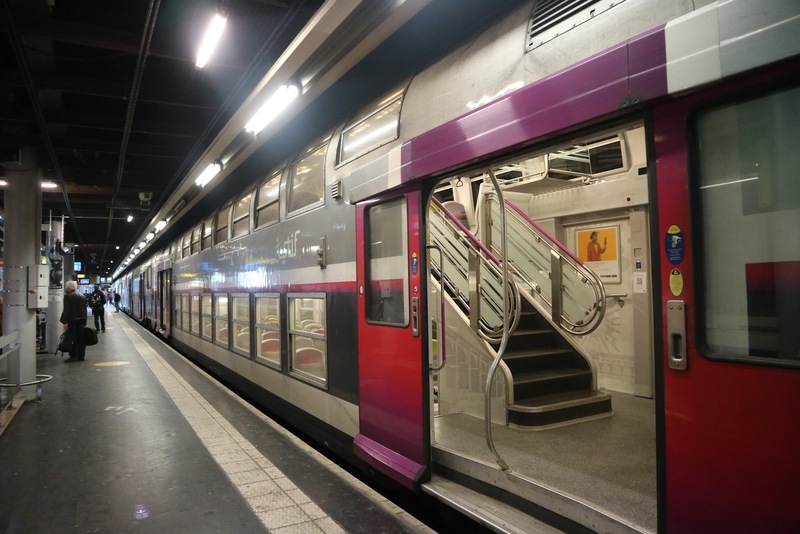 If you plan to take the RER to or from Charles de Gaulle airport, fare is €10 per way. While some prefer to stay in hotels, we chose to stay in an apartment, booked through Airbnb. It was actually a last minute booking as most of the properties we were eyeing were already booked by the time we finalized our Paris trip. I've learned while doing my research that Paris is divided into 20 arrondissements which form a clockwise spiral starting from the center. So the lower the number, the closer it is to the city center. And you can already guess how it is when it comes to room prices. The nearer it is to the tourist attraction, the bigger the amount you will spend for the room. 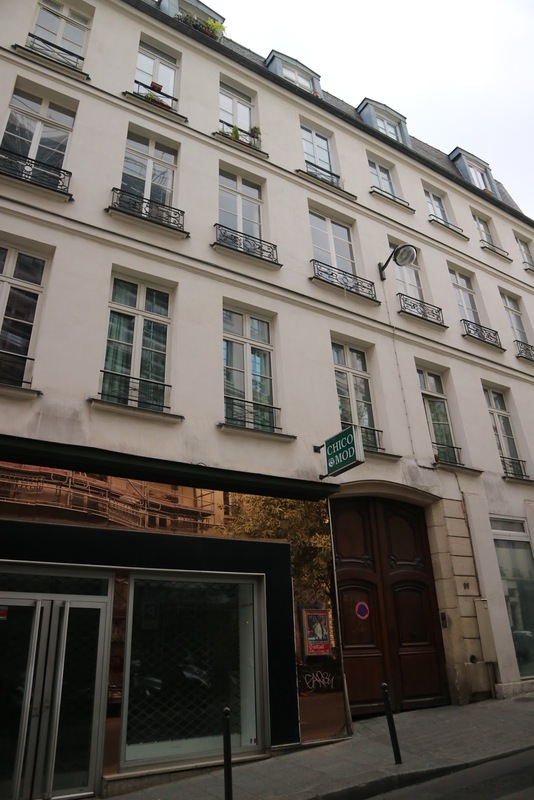 We were lucky to find a studio in 2nd arrondissement. 14,000 for 4 nights (15,900 less discount from Airbnb Promo). It was a good deal, location and budget wise. 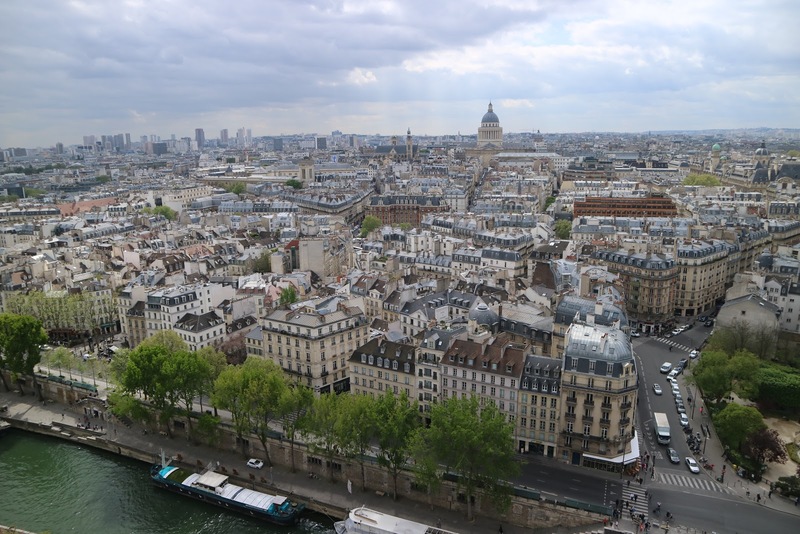 It is around 3 minutes walk to Bonne Nouvelle and Strasbourg-Saint Denis Metro Stations which can easily get you to any part of Central Paris. Around 15-20 minutes walk to the Louvre (which we actually did) passing through the famous food street of Rue Montorgueil. There are a lot of restaurants and groceries in the neighborhood too. Basic amenities include WIFI, radiator (for winter yes we needed it), water heater, and well-equipped kitchen. They only provided a sofa bed which is common in most studio units I've checked. Though the host and the cleaner have difficulties communicating to us in English, it didn't pose a problem. There's always google translate to depend on. Museum Pass - Yay or Nay? 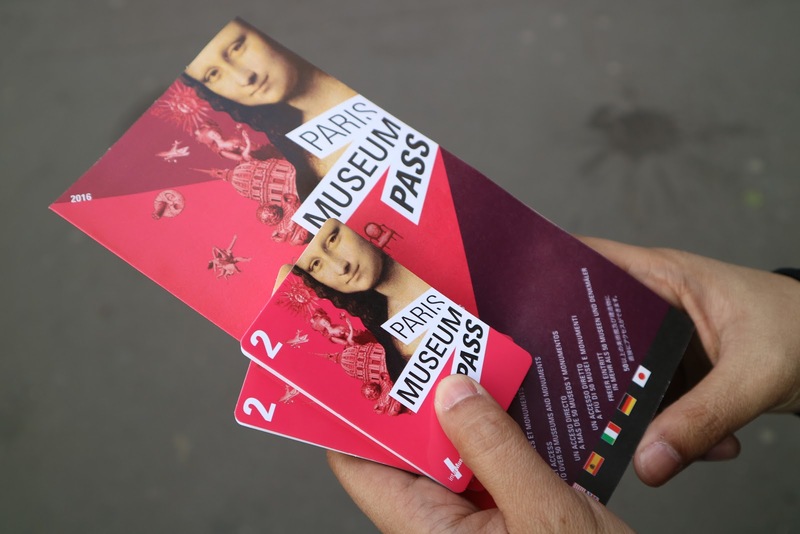 If you have 2 or more days in Paris and wanted to visit tourist attractions as much as you can, then you can save a lot with the Museum Pass. We bought our 2-day Museum Passes for €48 each from a Tabac (Store that sells cigar, etc). 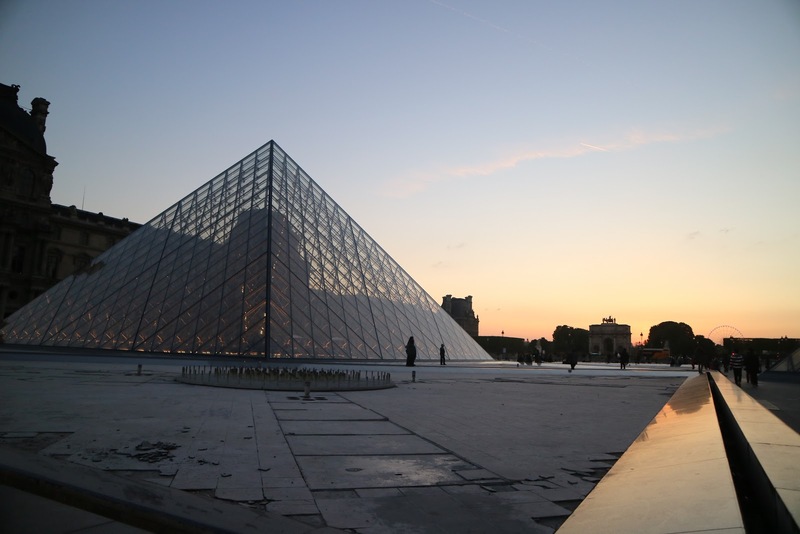 We were able to use it at Saint Chapelle, Notre Dame Tower, Louvre and Versailles Palace which in total would cost around €55. We wanted to add 2 more museums in our itinerary but my feet were too sore from all the walking we did. Take note that this pass does not give you a fast track access. You still have to line up for the entrance with the other ticket holders. It just saves you time and energy lining up to buy tickets for every attraction. Day 1 starts from the date you wrote in the card or in our case, date was stamped by the staff at Saint Chapelle - our first stop. So make sure that you only put the date the first time you are using it. The pass validity is counted in days not in hours so it's best to start your day 1 in the morning because regardless of the time you first use your pass, it would already count as Day 1. Eating out in Paris is definitely expensive most specially if you're used to the cheaper cost of living in the Philippines. But that didn't discourage us from at least trying a French cafe during our trip. Our host was generous to provide us with coffee/tea and a loaf of bread so we didn't have problems with our breakfast for 4 days. Plus we also stocked some milk, juice and spreads from the grocery. We always make it a habit to bring water especially during long walks so first thing on our to-do list whenever we arrive in a city is to buy water from the grocery. We usually buy the big ones as most of the time it's priced the same as the small bottle in a convenience store. Big plus if the accommodation provides free water. It's funny that on our first day in Paris, we had our early dinner at an Asian restaurant near our apartment. I've really been craving for these food after almost 2 weeks of eating meals with fries, mashed potatoes, and more fries! As a Pinay who was raised to eat rice at least twice a day, I seriously needed my rice fix. They offer different viands, "turo-turo" style. Bill went around €12. We traveled on an Easter week so we expected to line up for hours on the famous attractions. Lines can get really long during midday and because of that, we ended up having to-go lunches while on the line. 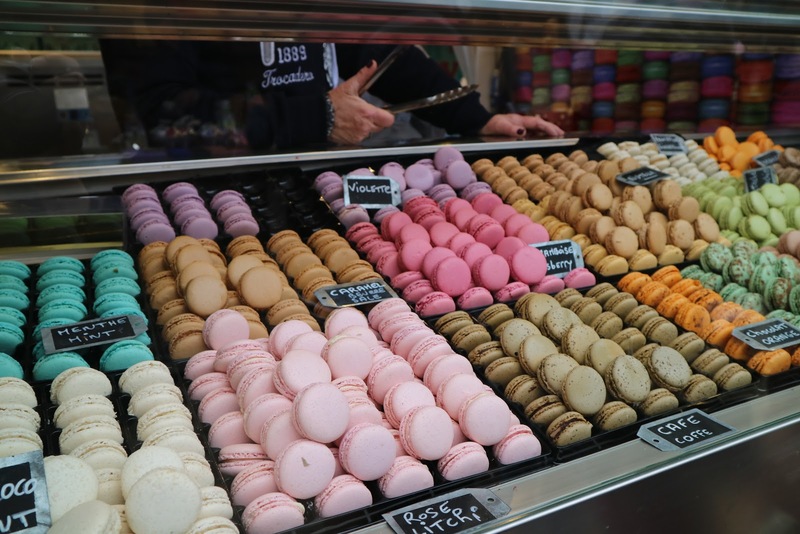 You can always find a cafe or bakery nearby. It is very important to stuff up to keep you warm especially in the cold weather. 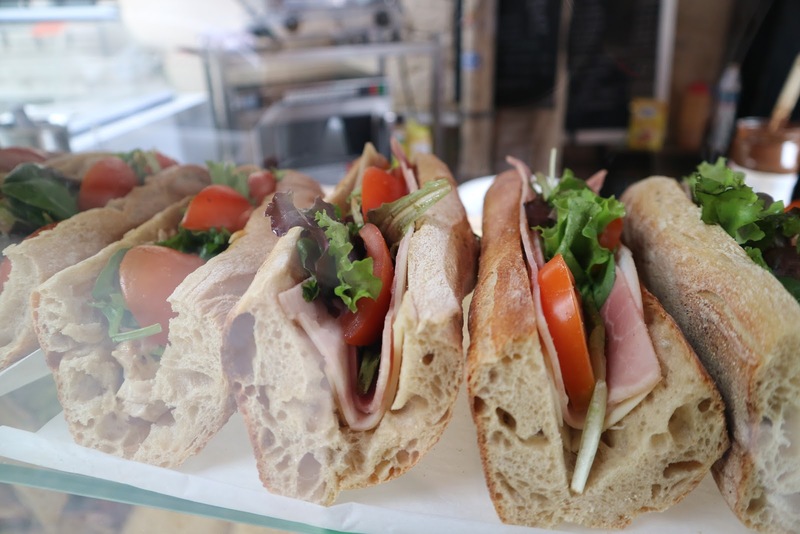 We had baguette sandwich, crepe, and croissant—costing less than €5 each. I totally forgot about the famous Falafel I was eyeing to try. But at least there's a reason to go back. Hehe. Since our days 2 and 3 were the most tiring, we gave in to eating fast food at Mcdonald's and from their local counterpart, B&F so we could just go home early and take a rest. And if you try to convert it to peso, they're not cheap mind you. They're would cost you 1.5x the price of the same meal in the PH. So don't compute. For €16.8 for a box of 8 macarons, it was a splurge but definitely a lot cheaper than Manila price. Not so much a fan of macaron but I just really had to try it from its country of origin. We chanced upon a good cafe near our apartment and decided to have our brunch there. 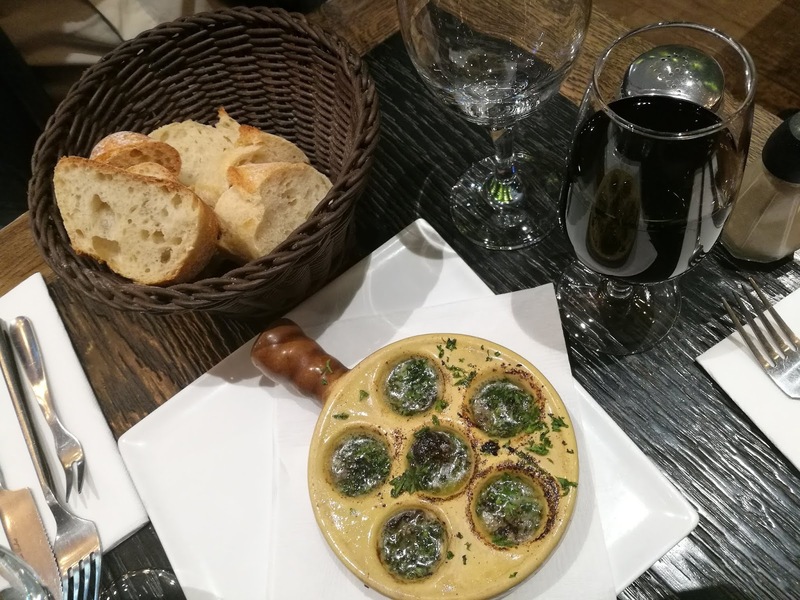 We had escargots (snails in garlic butter) for starters, Salade Bique En Brique (salad greens with fried feta), Faux Filet (steak) and Cote Du Tarn Verre (red wine). 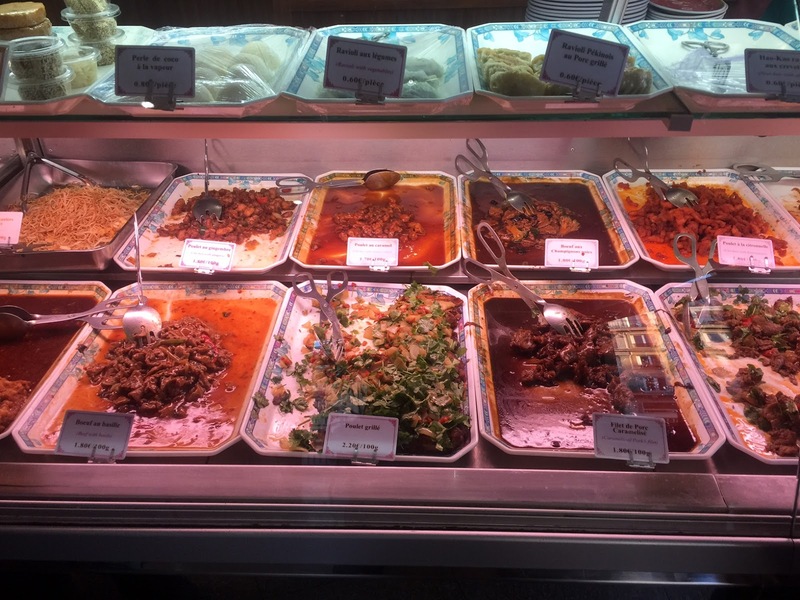 The food is good as well as the service. We were attended to a by a "pogi" waiter who spoke very good English. (He worked for a few years in New York). He wasn't intimidating and guided us on what to order without being pushy. And bread is free too! One advantage of renting an apartment is being able to cook your own meals. On our last night in Paris, we decided to have a steak and wine picnic date at the apartment. We love to collect Starbucks city tumblers and Hard Rock Cafe shirts so a visit to these shops was always a part of our itinerary. For pasalubong to our families and friends back home, we got some magnets and keychains. It is cheap if you buy more but cheaper if you buy from the African street vendors. We didn't buy from them though. They can get too pushy and I even scolded one when we were walking around the Louvre because he kept on shoving a selfie stick in my face even if he sees I was already using one. Hermes, Chanel, Louis Vuitton... Oh, Longchamp! 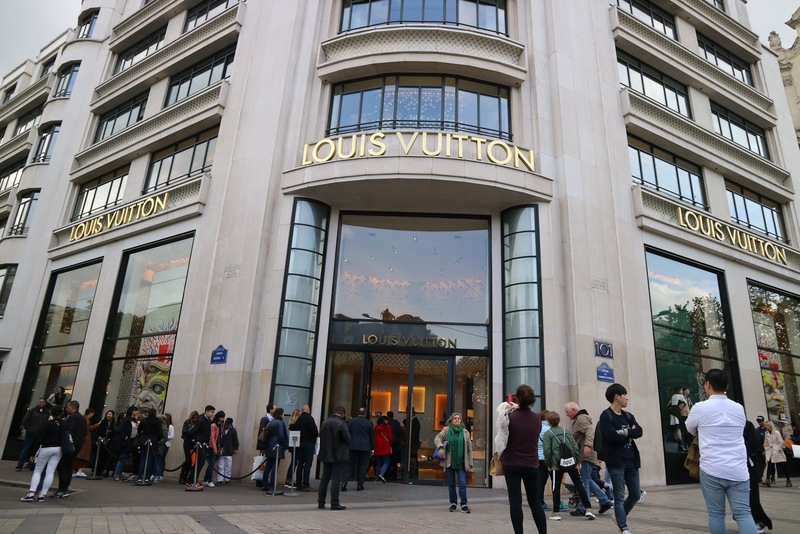 I know I will never own a Chanel or Hermes bag in this lifetime and not planning to gift myself a brand new Louis Vuitton bag any time soon but we still made our way to Rue Saint-Honoré just to check out the area and also to visit Longchamp's first boutique. We also visited Longchamp's other store at Champs-Élysées on our way to Arc de Triomphe where I bought Neo bags for myself and my mom. Thanks to my dad/sponsor who pledged to pay for my card bill. Lol. As with any major city, you can easily spot groups of scammers especially in touristy areas. We witnessed a gambling game scam where in you are invited to bet a minimum of €100 and guess where the ball is among the 3 cups. A man from the crowd kept on losing even if it easy to guess where the ball is. A lady, on the other hand, who probably was also part of the trick kept on winning and acts as if she's excited. I actually participated in the game just so I can prove that I was right about my guess but lucky I didn't have €100 with me at that time. We also saw those who try to tie string bracelets on tourists. I've read about these people when they successfully tie it your wrist, they will force you to pay them. These are only a few of the scams that we've witnessed. It really pays to do your homework when going on a trip to a foreign country. Be always on guard. 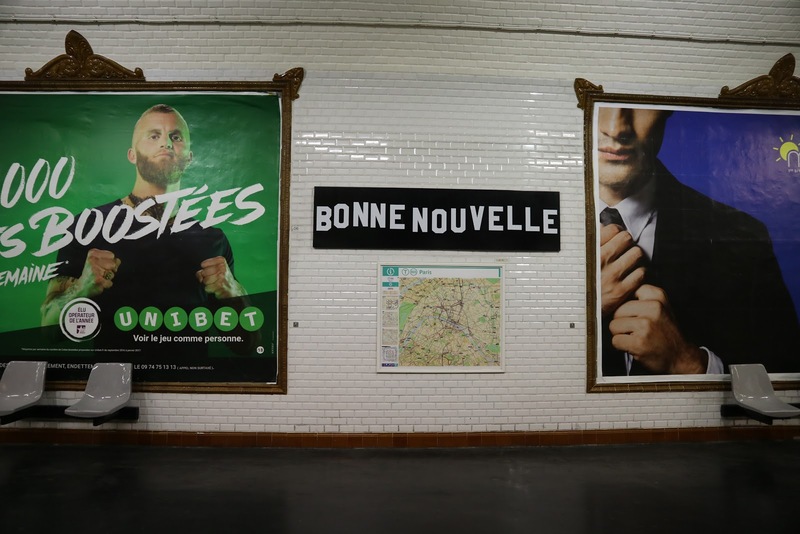 We actually survived the French Capital just by these words as most locals can speak basic English. And of course, by pronouncing them properly. Not to impress them that you can speak their language though but just as an act of politeness. So that's about it. Au Revoir!